Meet David, a loyal Dudutech supporter who enjoys helping his father with farming work in Zimbabwe. 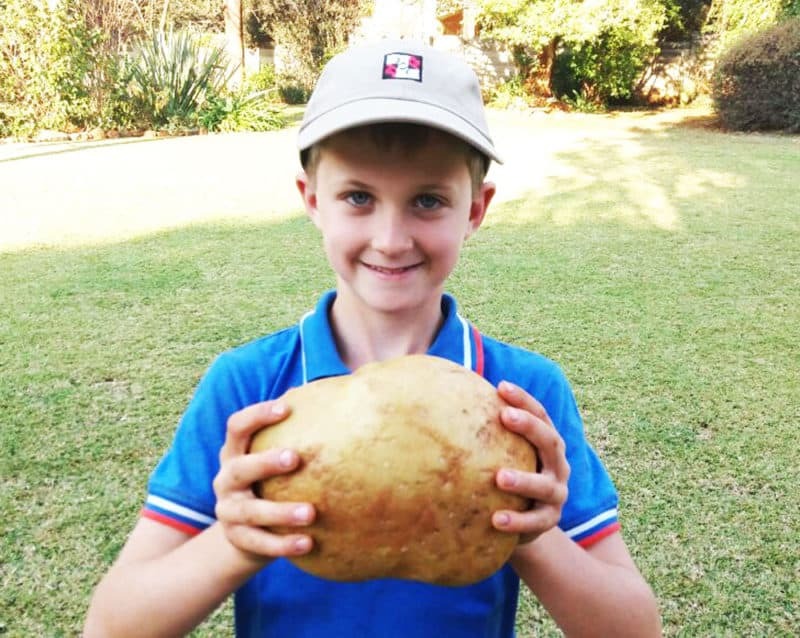 David and his father were offloading a shipment from farmer, Gareth Palmer, when they came across this 1.88kg potato! Gareth’s biggest potato weighed 2.08kgs! Gareth has been using Dudutech’s #Trichotech product for his potato crop in conjunction with his other products. He has been using about 5-6 bottles of #Trichotech per hectare. He also had a #Whitefly problem and so used Dudutech’s #Lecatech to solve it. He used a double #Lecatech with a chemical to squash it and is now thinking of using Dudutech’s #Beauvitech to squash the potato #TuberMoth.